We written countless posts on the mechanics of carving your own Porsche Pumpkin, so we won't repeat them here. Instead, we'll link to them below. This post is simply a holding page for one of our newest templates, one designed after the rear view of a Porsche 993 C4S (ours actually). This should give you an idea of what you're aiming for when you use our Porsche 993 Pumpkin Carving Template to make your own. Our resident graphic designer took the image of our own 993 C4S and turned it into a Porsche Pumpkin Carving Template that most of you should be able to follow with ease. 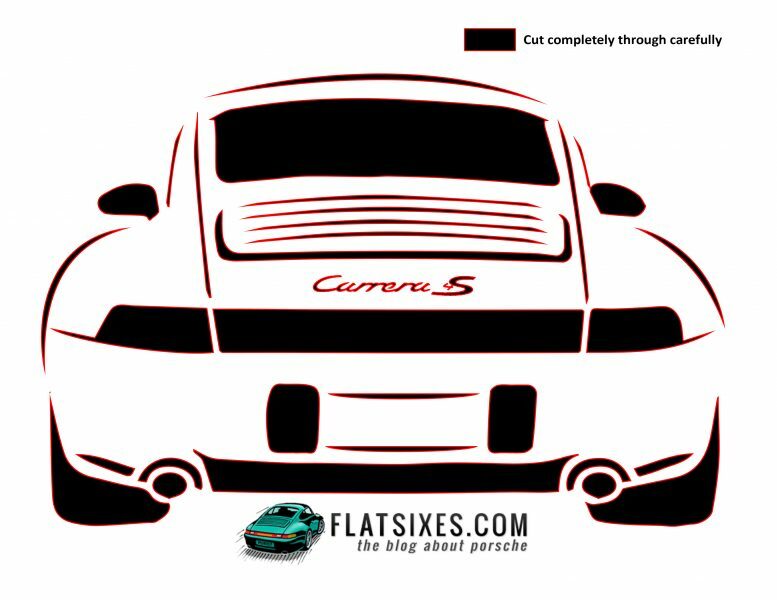 The image above gives you an idea of what you're trying to achieve when you use our Porsche 993 Pumpkin carving template. The image above is that actual template itself. To save our Porsche 993 Pumpkin carving template to your machine simply click on it to get to the full resolution version, then right click it and select "save image as". We've sized it so that it should fit and print on an 8 1/2" x 11" piece of paper. Once you've printed it out, simply follow our Tips on how to carve your own Porsche Pumpkin and you should be good to go. 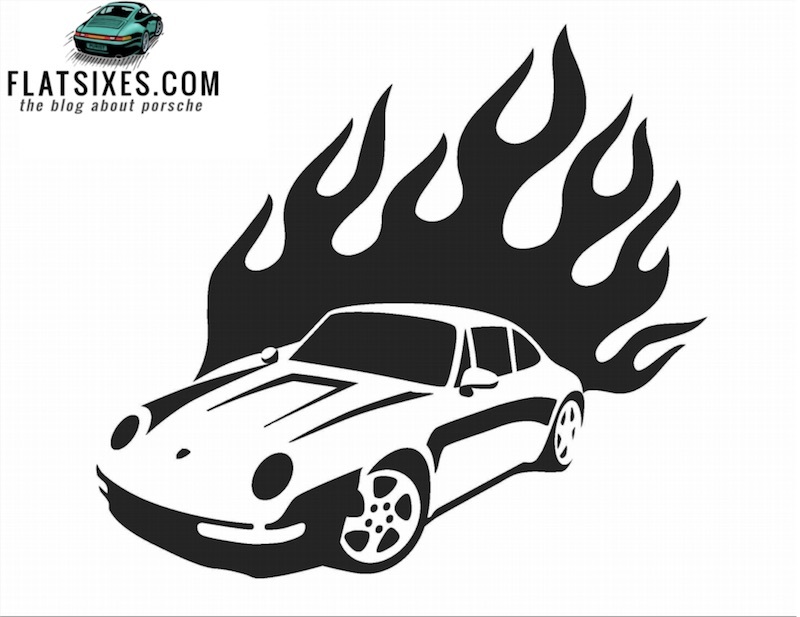 If you want to go old school and have a few flames shooting out of your 993 Pumpkin, our original template should work well for you. That's it above. 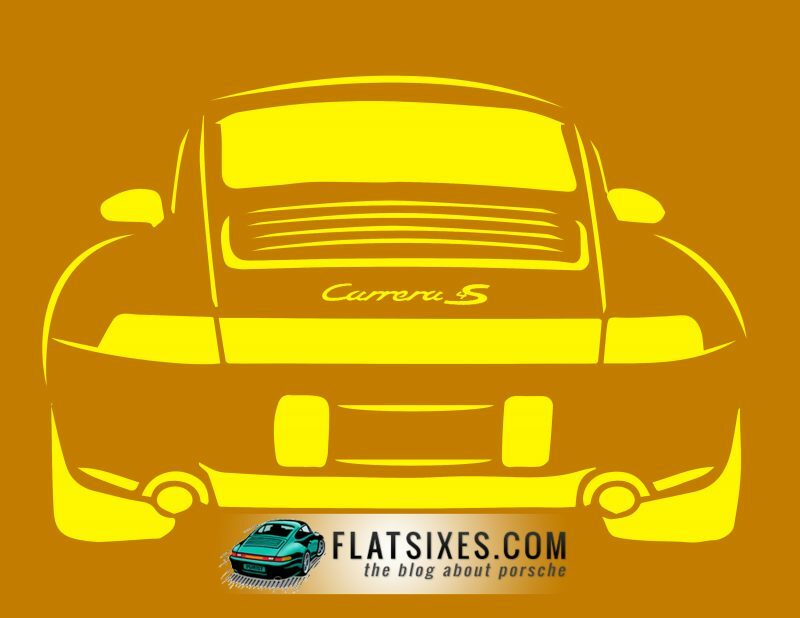 Click here to download our original Porsche 993 Pumpkin Carving Stencil. If you do decide to carve your own Porsche Pumpkin using one of our templates, or one you make on your own, please share with us and our readers on our Facebook Page. I got a pumpkin, A good one. You know the ones they sell on halloween, bright yellow but not that bright. It was huge but not that heavy. And I got some lights. Thn I printed your templates, the first one which is yellow Porsche on orange background. Thn i got a precision knife/cutter(available for 10$ in any store), Its sharp, so you need to be careful. I thn pasted the template which was printed on plain a4 paper in landscape mode with water on the pumpkin. Careful cut the highlights of Porsche car details. and you need to carve some details to make it look better. If you want to. I also had put some Warm LED lights inside the pumpkin and it looks soo good. Try it and the second template is good too.